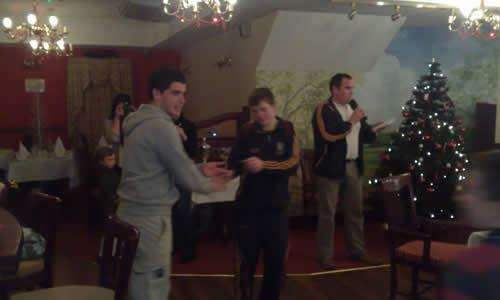 On the 4th of December 2008 we presented our U12, U14 and U16 championship medals to the three sets of players in the main function room of The Dromod Bar where dinner was served to all players and management teams present. 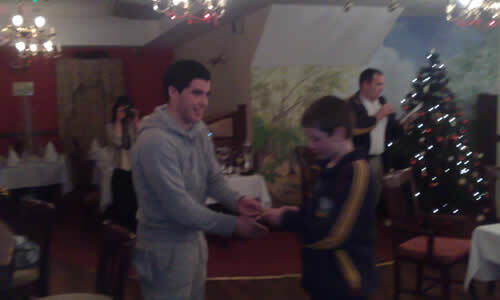 Guest of honor on the night who presented all the medals was Leitrim senior football star Emlyn Mulligan. I’d like to take this opportunity to thank the management and staff of The Dromod Bar. It is also very important to note that all 3 victorious panels took part in a sponsored one mile walk in-order to raise funds for the medal presentation dinner. Thanks of course to Joe Cox who organized this sponsored walk. 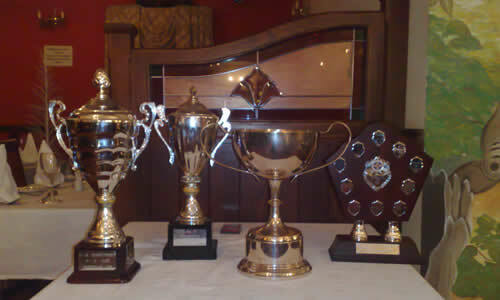 A special word of congratulations and thanks to all our underage coaches at U18, U16, U14, U12, U10 and U8 levels who helped to make 2008 such a memorable and successful year. 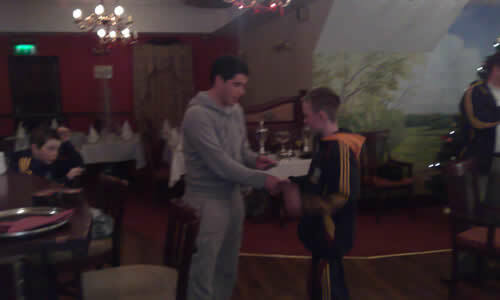 The time, work and effort being invested by these men at underage coaching is invaluable and immeasurable but greatly appreciated by Annaduff GFC.